Kaplan Cello, Accessory for Bowed Instrument from D'Addario. 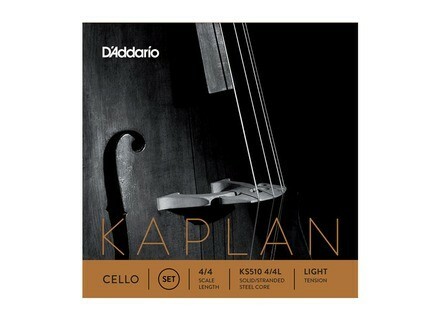 D’Addario is pleased introduced the new Kaplan Cello Set, an extension to the D’Addario cello line. The construction of Kaplan cello set is designed to allow heavy bow pressure without losing sound clarity in soft dynamics, the company says. The overall sound of the set is described as "well balanced, rich and complex." 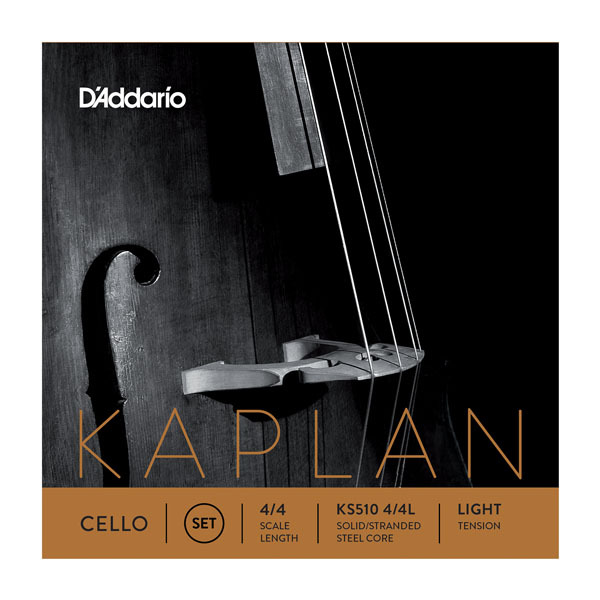 Kaplan cello A and D strings utilize a solid steel core and tonally adjusted damping for sound quality. The titanium-wound A and nickel-wound D strings (formerly known as “Kaplan Solutions”) produce a full and clear tone, according to D'Addario. The new stranded steel core/tungsten-wound G and C strings, offer a great “bite” under the bow with a beautiful and blossoming sound. The Kaplan Cello set is available in medium tension and full size, while individual strings are available in all three tensions and full size. The Kaplan Cello Set is available now, and retails for $326.00. For more information on D’Addario strings, visit www.daddariobowed.com. [Musikmesse] Dogal Strings Italian manufacturer Dogal Strings was at this year's Musikmesse to promote its lines of strings for various instruments, including those Goffriller cello strings.